Andy obtained his RIBA Architectural qualification in 1999 whilst training as a graduate at CLA, becoming a Director/Shareholder of CLA in 2003. Andy has been involved with the mentoring and training of staff members who have become an integral part of the business. He has over 15 years experience of a variety of sectors including Residential, Commercial, Industrial, Retail and Mixed-Use Urban Regeneration and Masterplanning. Andy has been responsible for a multitude of regeneration projects and is actively involved with Housing Associations and Community Groups to deliver local mixed use developments. He is able to bring flair and enthusiasm to all projects from feasibility to completion, including collaboration of client briefs and procurement appraisals. 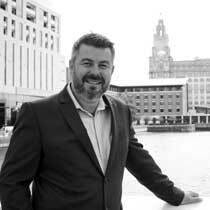 A Property Adviser to a local charity and is an active member of Professional Liverpool.